At the Toushinsai 2016 tournament this weekend, Taito announced it is currently developing a Nesicsa x Live 2 system for a slated release in Summer 2017. Details will be revealed at JAEPO 2017 in Tokyo (Feb 10-12). Both the system's name and target date are tentative. 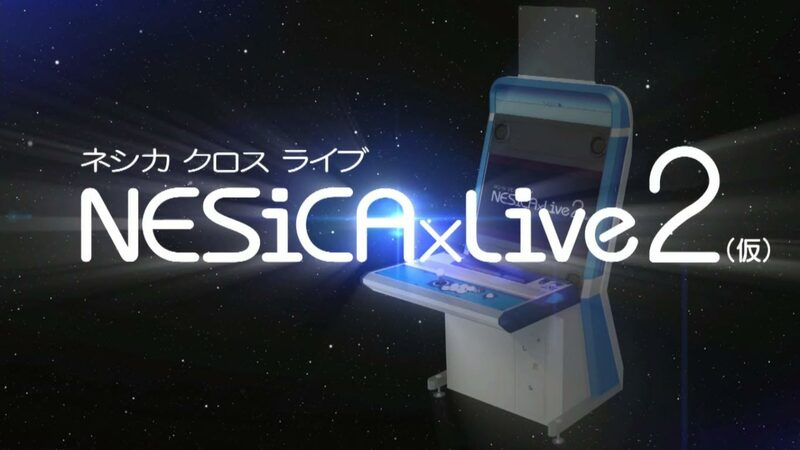 The Nesica x Live 2 system will support cross-arcade gameplay, meaning two players in different arcades can go head to head via net play. While Bandai Namco's Tekken 7 already has this feature, this will be the first time for a multi-title arcade platform. SNK's The King of Fighters XIV will be the first launch title for Taito's Nesica x Live 2 system. Although SNK and Taito's parent company Square Enix were in a legal battle until earlier this year, it seems that the two companies have set aside their differences; Taito is cooperating with SNK's developers to have the title prepared for their new arcade system. Other companies to support the Nesica x Live 2 platform include Arc Sytem Works, Examu, FKDigital, SquareEnix, Grev, and French Bread. Taito hasn't announced about the arcade cabinets which will run the Nesica x Live 2 system. The current TypeX2 cabinets running in the arcades will be a decade-old hardware by next year, and it seems quite plausible that Taito would release a new cabinet together with the Nesica x Live 2 system, perhaps as a docked set.